What Is Hypoxia And Why Is It So Dangerous? The brain depends on oxygen to perform even the most basic functions. Without it, the brain quickly ceases to function. And if oxygen deprivation continues, death or permanent brain damage take just a few minutes. Hypoxia is the deprivation of oxygen to the brain, and is one of the deadliest injuries. Even people who survive hypoxia may experience lifelong aftereffects. No blood supply to the brain: This occurs when the blood vessels that supply the brain with blood are completely obstructed. This is extremely rare, and usually fatal. Low blood supply to the brain: Low blood supply can occur when even a single blood vessel is blocked or partially obstructed, as often happens with a stroke. This form of hypoxia frequently affects a specific region of the brain, interfering with functions governed by that region. No blood oxygen: When the body can’t take in oxygen, or the heart or lungs can’t properly provide the blood with oxygen, the brain -- and all other organs -- suffer from hypoxia. This is quickly fatal. Low blood oxygen: When the body can’t properly oxygenate blood, often due to illnesses such as emphysema or a crisis such as a heart attack, the brain gets less oxygen than it needs to properly function. Traveling to high altitudes, especially for people in poor health and for those who quickly rise to high altitudes. Strangulation or smothering. For example, the choke holds that some law enforcement officers use can cause hypoxia if held too long. Very low blood pressure, which is usually caused by something else, such as a hemorrhage. Medical conditions such as a heart attack or stroke. Allergic reactions that lead to anaphylactic shock. In infants, improper sleep positions or unsafe sleep environments. For example, young babies can be smothered in crib bumpers, or get inadequate oxygen while sleeping on their stomachs. How Long Can a Person Survive Oxygen Deprivation? Deep sea divers, people who practice certain forms of meditation, and a handful of other exceptions to the rule may be able to go longer periods than average without oxygen. For the average person, oxygen deprivation poses an imminent threat. The timeline from initial hypoxia to death or brain damage varies with the degree of oxygen deprivation. Minor oxygen deprivation only causes damage over time, but true hypoxia triggers near-instantaneous damage. Brain damage can begin within a minute or two of total oxygen deprivation. At the five-minute mark, death of brain cells -- and the severe brain damage that accompanies it -- becomes inevitable. Most people will die within 10 minutes of total oxygen deprivation. Those in poor health often die much sooner. Some people may suffer other medical catastrophes, such as a heart attack, in response to oxygen deprivation. People experiencing hypoxia may feel like they can’t breathe, struggle to catch their breath, or experience a rapid heart rate as the heart beats faster to attempt to supply the brain with blood. Less severe oxygen deprivation can cause symptoms that are subtler and more gradual. Moreover, some oxygen deprivation victims lose the ability to talk, and infants and children may not recognize or understand the signs of oxygen deprivation. Something obstructing the face, mouth, or nose; increased carbon monoxide exposure can be a problem in enclosed areas, so a person in a very small space or whose face is covered may suffer from oxygen deprivation even if they can breathe. Changes in mood or personality; the victim may seem confused. Loss of consciousness, including fainting or seizures. Blue or white lips, tongue, or face. Pupils that don’t respond normally to light. Not breathing, or not expelling air when exhaling. Hyperventilating or gasping for air. Unable to speak; a person who is truly choking may not cough. Hypoxia demands emergency treatment. Don’t try to treat it at home or wait and see what happens. 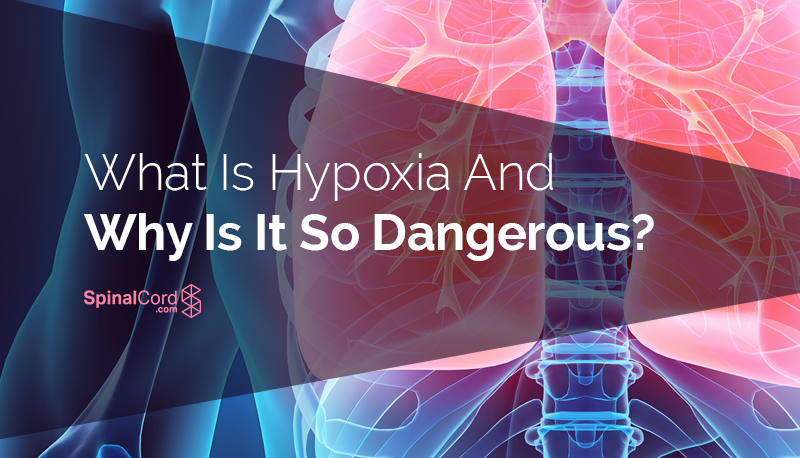 Even suspected hypoxia requires a call to 911, and an emergency room visit. As you wait for help to arrive, a technique called The Dobkin Technique may slow brain damage. It can even save the person’s life. To use Dobkin, place ice cold water or a cold compress on the face and eyes of the hypoxia victim. The compress must be below 58 degrees, and must remain on the victim’s face until help arrives, or unless a medical professional tells you to do otherwise. In the immediate aftermath of hypoxia, medical professionals focus on providing oxygen and addressing the cause of hypoxia. For example, a stroke victim may need surgery or medication to clear a blood vessel blockage. After oxygen is restored to the brain, the prognosis varies. Longer periods of oxygen deprivation, particularly in babies, young children, and seniors, typically produce more damage. There is no single treatment that can cure or reverse brain damage. Doctors also don’t fully understand brain damage, so it's impossible to make reliable predictions. Some people recover fully. Others never do. Addressing the underlying cause of the hypoxia. Supportive therapy, including physical or speech therapy, to regain brain functioning. This helps the brain find ways to work around the injury, and can encourage the growth of new nerve cells. Preventing future cases of hypoxia. Providing psychological support. Sound mental health makes it easier for a hypoxia survivor to cope with his or her injury. It also helps him or her stick with treatment. When hypoxia is the result of someone else’s negligence, a lawsuit can aid recovery by providing funds for high-quality medical care. Suing also hopefully prevents what happens to you or your loved one never again happens to another person. It’s not greedy. It’s your right to seek justice. Zawn Villines is a writer specializing in health and legal journalism. Raised by a lawyer and lobbyist who advocated for spinal cord injury survivors, she is a lifelong advocate for spinal injury victims and their loved ones. You can connect with Zawn on Google+ below. * For privacy SpinalCord.com, sponsored by Swope, Rodante P.A., may reply directly to users comments via email rather than publicly on the Journal/Blog. Spinal cord injuries are traumatic for patients and their families. They cause disruptive changes to every aspect of your life and there is a lot of new information to navigate and understand. Our experts have collected everything in one place to help you learn more about your injury, locate doctors and treatment centers, find financial support, and get assistance navigating your next move. Copyright 2019 | All Rights Reserved. 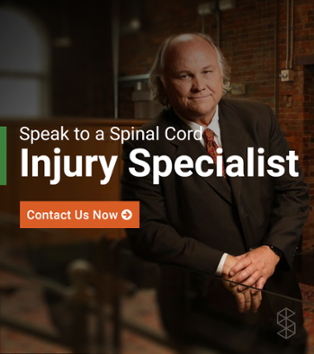 Spinal Cord, Inc. Sponsored by Swope, Rodante P.A. a Florida law firm located at 1234 E 5th Ave, Tampa, FL 33605. Swope Law. The information provided by SpinalCord.com is not a substitute for professional medical advice, diagnosis, or treatment, see Disclaimer Policy.